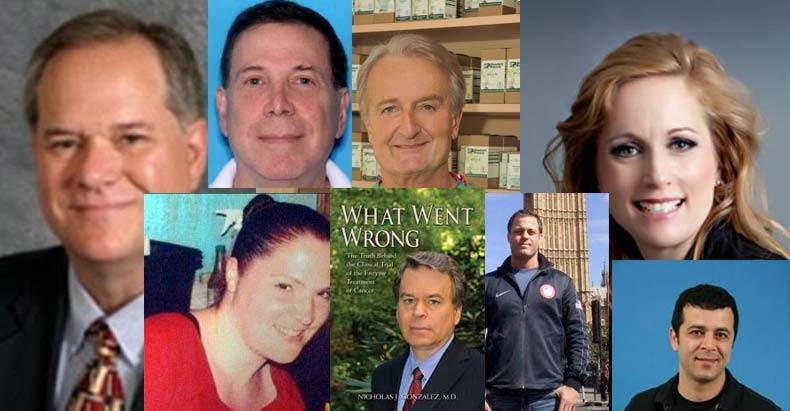 Last week we reported on a number of doctors, many from the Southeastern U.S., who had been killed, died under questionable circumstances or had simply vanished without a trace. Just one week later, another three doctors have been reported dead, with one being found shot to death inside of his Florida home. One of these doctors, Dr. Norman John Castellano, DMD, of Tampa, Florida passed away on July 13, 2015. An anonymous source has indicated a cause of death, which has yet to be verified or released. The cause of death appears to be cardiac related, as he suddenly collapsed and was unable to be revived. Dr. Gonzalez was in excellent health otherwise so his passing is quite unexpected. Dr. Gonzalez leaves a legacy of faith, healing, and genuine love for people and the pursuit of medicine. We are heartbroken at this loss, but determined to keep his work and his memory alive. In the most startling case, Dr. Ronald Schwartz M.D. was found shot to death in his Jupiter Farms, Florida home, on Sunday, July 19th, 2015. A friend had asked authorities to do a welfare check, which resulted in the brutal discovery, according to WPTV 5. Detectives have not yet determined a motive or how many people carried out the murder, according to a Palm Beach County Sheriff’s spokeswoman. Neighbors are on edge from the out of place murder. “I think it’s very creepy. It gives you that feeling that you need to make sure your doors are locked,” area resident Belinda Runnels said. Authorities haven’t indicated if the doctor was specifically targeted but have said that residents are safe in the community. Schwartz’s murder comes in the wake of a slew of curious deaths that began on June 19, with the death of Dr. Bradstreet. Bradstreet, a renowned autism researcher from Florida, now practicing in Georgia, was found with a gunshot wound to his chest. Authorities almost immediately ruled his death a suicide, but his family suspects foul play. Then came the death of Dr. Bruce Hedendal, found dead in his car in Boca Raton, Florida on Father’s Day, June 21; the same day as the unexpected death of Dr. Baron Holt, 33, while on a trip to Jacksonville, Florida. Only a few weeks ago, Dr. Teresa Seivers, a renowned and respected doctor known as the “Mother Teresa of South Florida,” was found savagely murdered with a hammer in her home on June 29. Then on July 1, Lisa Riley DO, 34, was found murdered in her residence, in Lee County, Georgia, with a gunshot wound to the head. Information about the five missing doctors can be found here. While all of these deaths could be nothing more than strange coincidences, we’d be remiss in not noting the fact that all of the doctors mentioned, sans Dr. Gonzales, practiced in the Southeastern United States, specifically in the Florida/Georgia region. Do you think these deaths are simply a strange coincidence or that perhaps something more sinister is transpiring? Please share this story and sound off in the comments!